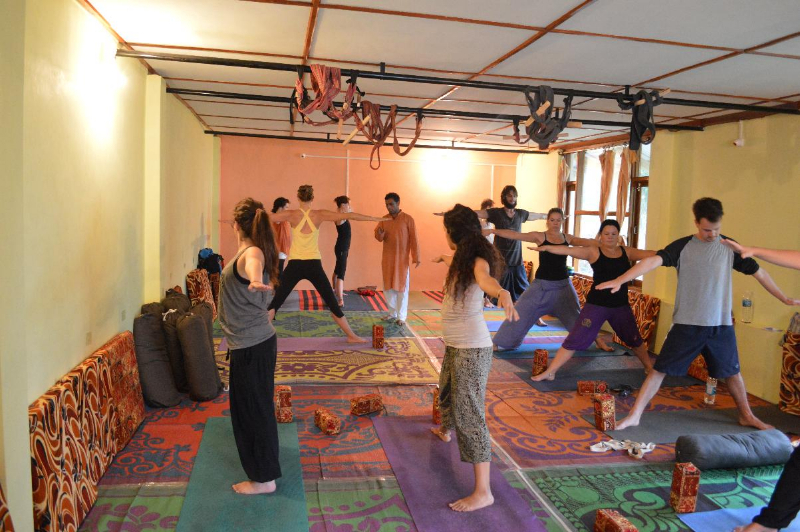 200-hours Yoga Teacher Training Curriculum in India includes both a strong basis in yoga specialized practical abilities and an instinctive way to deal with yoga training. This 200-hours yoga teacher training in India will impel your practice and help you adjust well to the various layers of yoga. It will boost your self -confidence and ascertain your eccentricity as a yoga teacher. With a well-established groundwork, you will have the capacity to promote your own yoga aspirations and the skill of training. This 28-days residential program empowers you to learn and train yoga, along with learning to adhere to a good diet, dealing with your body, meditation practices from conventional worshiping style and by making yoga a path of your life. 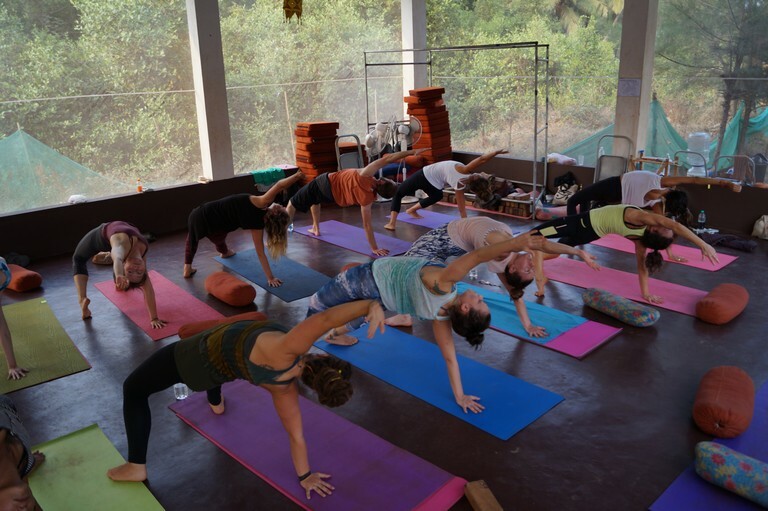 Mahi Yoga offers 200-hours Yoga Teacher Training in India at 3 wonderful places – Dharamsala, Goa, and Rishikesh, which is exclusively designed by our expert Teachers and devoted to the yoga styles including Ashtanga Yoga, Vinyasa Yoga, Hatha Yoga and Therapeutic Yoga Programs. Ashtanga Yoga is a vivacious and coursing style of yoga. It includes synchronizing breath with dynamic and ceaseless postures, which produces interior warmth while detoxifying the body. It manufactures quality, adaptability, and stamina while quieting the mind and enhancing general well-being. Ashtanga can be an extraordinary and sweat-soaking exercise, yet it can likewise be profoundly transformative. As students learn to connect with breath with progress, they frequently learn to challenge themselves in upcoming situations of their life. Honing each posture in the exact order, and getting individual consideration from the teacher, gives a sorted out learning approach that is benign and persistent. Vinyasa Yoga is a contemporary fast-paced practice in which students flow between body postures while breath and Drishti (eye gaze) are synchronized in its steady alignment. The style includes Pattabhi Jois and his teacher Krishnamacharya as its masters. There are a couple of stories about how the successions began, however, the style in its present approach was created by T. Krishnamacharya himself. The Ashtanga Vinyasaagenda just turned out to be notable, by his dedicated student, Pattabhi Jois. Another of Krishnamacharya’s students and another genuine pearl of present-day yo was BKS Iyengar. Vinyasa, likewise called flow as a result of the smooth way that the postures run together, is prevalent amongst the most famous contemporary styles of yoga. In Vinyasa yoga, every change is synchronized to a breath. The breath is given power, going about as a support as you move starting with one posture then onto the next. Vinyasa, likewise called flow as a result of the smooth way that the postures run together, is prevalent among the most famous contemporary styles of yoga. In Vinyasa yoga, every change is synchronized to a breath. The breath is given power, going about as a support as you move starting with one posture then onto the next. A cat-cow stretch is a simple illustration of Vinyasa yoga.Diversity is the strength of Vinyasa yoga. Vinyasa yoga addresses the restricted culture we live in. Vinyasa yoga trains the mind. Vinyasa yoga shows us how to look after ourselves. Hatha Yoga is the mother of our most known western yoga practices which spread from Hatha’s approach for controlling the body and particularly the breath. An ordinary class of Hatha is a moderate paced practice which joins customary body postures (asana), breathing awareness, pranayama (maintenance of breath methods), meditation and mantras to open or close the class. In our society bound to rush nowadays, the classes frequently just concentrate on physical postures. The style similarly utilizes purifying systems (kriyas), infrequent utilization of bandhas (muscle controls are seen as locks of vitality) and uncommon pointers called mudras. Therapeutic Yoga is a combination of healing yoga, simple yoga, breath work, hands-on healing, and guided meditation structures consolidated. It is used as applying methods of yoga to improve particular issues (physical, mental or potentially spiritual) combined with certain kind of information (particular to the issue), involvement and instinct. It is a brilliant decision for the individuals who require a tender yet powerful practice for bringing the body into fine-tuning. The Therapeutic Yoga Course incorporates Yoga Therapy, Pranayama and Yogic Anatomy from our 200-hours yoga teacher training in India. Online Information containing Yoga Nidra Sessions, Videos on Yoga Therapy, Meditations and Healing Practices. Our program hold classes utilizing an extraordinary assortment of props. Our Hatha classes make utilization of these props to develop a more profound experience of the yoga asanas and particularly the distinctive postures of the asana. 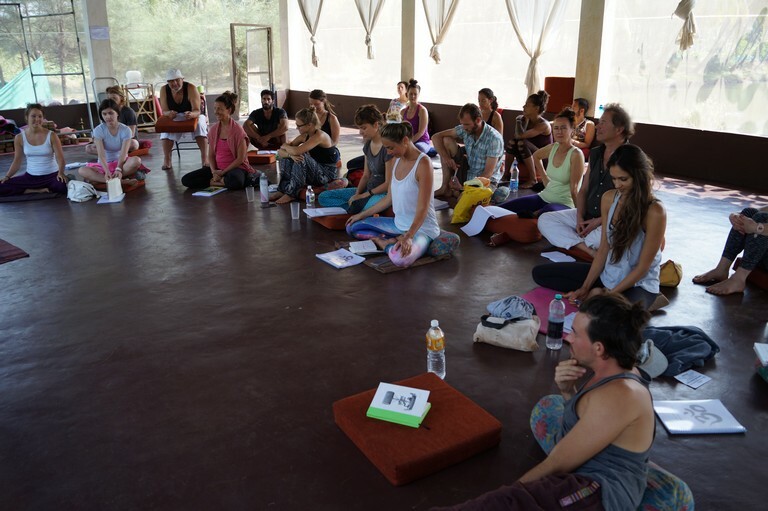 We offer you a considerably extensive scope for practice on our 200-hours Yoga Teacher Training in India. Everyday practice includes asana, pranayama, and meditation. You will get guidelines and asana conformity to get the techniques of the practice in our early morning and evening practices. Alignment of postures and assisting will be covered in exclusively dedicated sessions apart from the morning and evening practices. 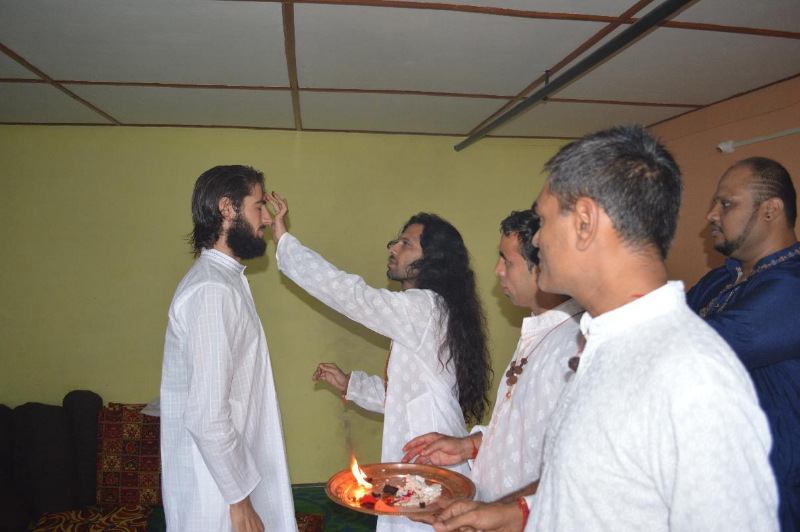 Kriyas (purifying systems), bandhas (locks of vitality) and actual mantras in Sanskrit will be presented and practiced amid the training in particular classes. The methods, training, and practice cover the requirements for a Hatha Yoga teacher (starters to intermediate levels) and an Ashtanga Vinyasa Primary Series trainer. You will learn the basics of the significance of human body structure and how they are influenced by the individual asana and the general practice, which incorporates medical advantages and contraindications. The respiratory system, circulatory system, stomach related structure and yogic Diet, endocrine system, sensory system and Musculoskeletal systems are explained in detail in session. 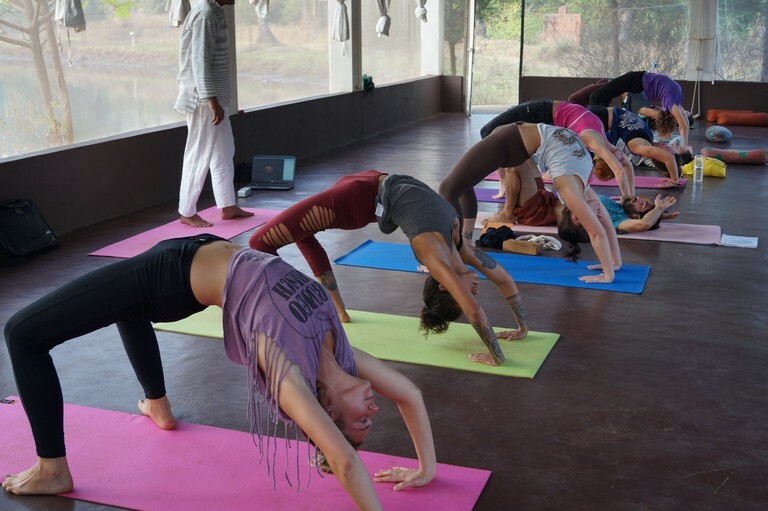 Our 200-hours yoga teacher training program in India integrates the History of Yoga: this incorporates the social foundation of yoga and in addition how yoga in the past identifies with the yoga of today. Prolog to Samkhya and Tantra as foundation methods of insight into Yoga, Patanjali Yoga Sutras and the 8 Limbs of Yoga (Ashtanga Yoga) are the highlights of the session. The four ways of yoga are Karma Yoga (Seva/benevolent administration), Bhakti Yoga (the way of commitment), Raja Yoga (the imperial way of the mind) and Jnana Yoga (the way of information/astuteness). You will be made familiar with other beneficial sanctified documents, for example, the Hatha Pradipika, the Gheranda Samhita and also Samkhya Philosophy and the Tantric underlying foundations of yoga. Underline that we will give you a sense significant information and additional subjects from where you can proceed with your own particular development and study later on. Our 200-hours yoga teacher training in India offers you, exclusive classes, to aid your improvement in picking up the vital characteristics of a Yoga teacher. Among these qualities, you will learn to organize your own particular classes, to appropriately show the procedures, to help and modify securely, and, obviously, to train your own particular classes. You will have a more profound experience of yourself, having the capacity to recognize your qualities and challenges, building up your own particular manner of training as per your qualities and watching out for the things you have to keep dealing with. Every student will lead classes, getting their own specific expert feedback. Amidst our 200-hours yoga teacher training course you will turn out to be more aware of the philosophy behind the practice and you’ll learn how it will provide your own ethic for your future lessons and in your life ahead. Apart from that, you’ll understand precisely your roles and responsibilities as a yoga teacher (both tangible and intangible) and how to connect to your students and colleagues on professional end. 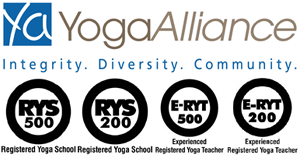 It is imperative to note that for anybody to acquire the RYT 200 certification, they should attend all classes – unless ill* – and undergo the mandatory 200-hours yoga teacher training assessments. 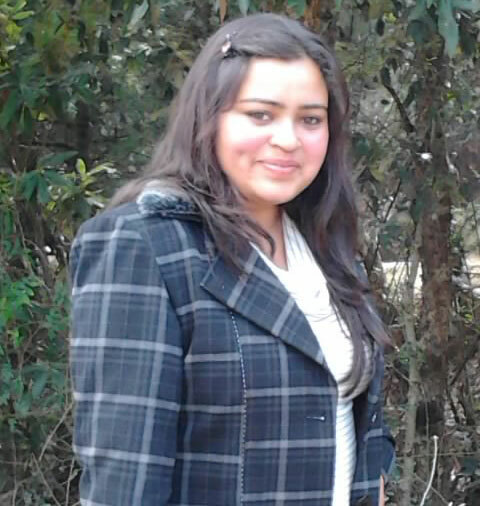 There will be a last written exam and in addition a practical exam. Some basic summaries must be submitted amid the training. It is vital for the students to realize that they are evaluated on their involvement throughout the month. 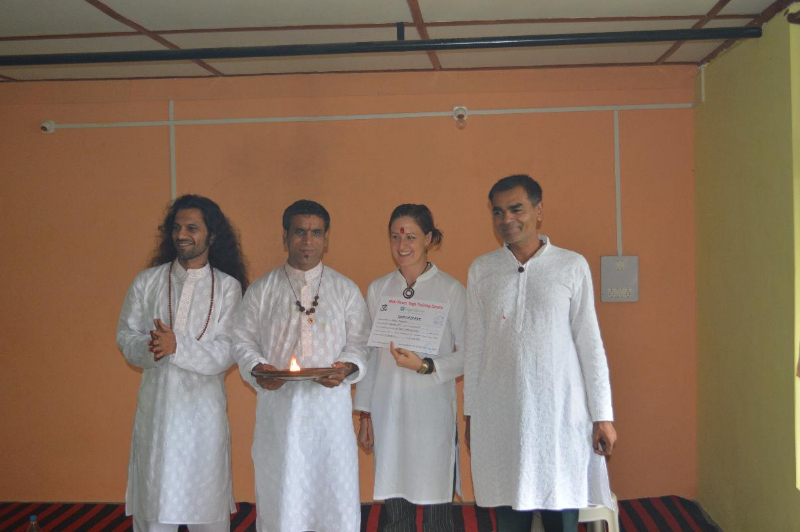 Students who pass the exams and are cleared by their teachers as indicated by their support will get a Yoga Alliance 200-hours yoga teacher training certificate that is accepted globally. *If you turn out to be sick, you are requested to immediately report to Mahi Yoga Center’s group to assist you, so that we can help you. Besides, we can then deal with your missed out hours on the course so you can have a chance to graduate yet. 1 internship position of 6 months span. This includes teaching yoga every day (non-TTC condition), conforming/aiding classes, assisting in a few exercises with our own yoga teacher training students. In case if you want to open your own studio, this internship position is ideal for you. 1 internship for 1 month (least) to 3 months span. This includes teaching(non-TTC condition), modifying/adding classes and assisting in a few exercises with our own particular yoga teacher training students. Why should I study all this? Teaching yoga can only originate from your own practice. Training constitutes the major proportion of the program. In order to teach, you do need techniques to securely direct others in their own practice. Individuals have altogether different bodies, physical abilities, learning styles, concerns, and civilizations. For your future students to be comfortable and fit in your classes, you will be learning about the body and its systems in anatomy and physiology sessions and in addition trying different things with different alteration and aiding methods all through the course. For the students to develop completely into their potential you will learn important teaching techniques, love your own particular individual qualities as a teacher and build up whatever else you actually need so that you can read your students naturally and reinforce their distinctive learning styles through your classes. Students will have the capacity to feel the profundity of yoga and be enlivened into keeping up a restrained practice, you will learn philosophy and the historical background of yoga. Sanctified writings are the fuel to keep us honing and the practice is the place the writings are communicated in direct understanding: in a cycle, they encourage each other. For your future yoga students, for yourself, for your future professional world… We will examine the point of ethics. Genuine standards are born right now – leaving ethical quality and custom aside – yet they watch out for a future that looks for a typical prosperity. In order to have a continuous, in-depth involvement of teaching yoga as a professional, we offer you Internships.